Kelp forests are among the most biologically productive and beautiful of marine habitats. Kelps are a group of large brown seaweeds (division Phaeophyta) that are restricted to cold waters over rocky substrates. 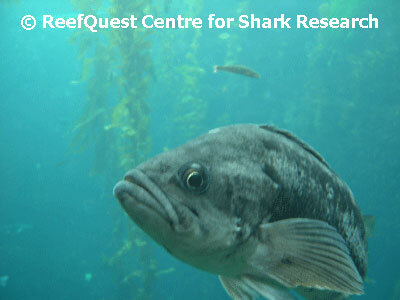 Individual kelp plants grow remarkably fast in such an environment, as much as two feet (60 centimetres) per day. Clusters of kelp plants collectively form a complex, multistoried environment. Rubbery, gas-buoyed fronds float along or near the surface, forming a canopy as much as ten feet (3 metres) thick. Long, erect stipes form a 15 to 50-foot (5 to 15-metre) understory bathed in downwelling light tinted greenish-amber by transmission through the fronds at the surface. Short clumps of filamentous and encrusting algae near the substrate form an algal turf. Each kelp plant is anchored to the bottom by a branched holdfast, which wraps around, rather than penetrates, the rocky substrate. This arrangement creates vertically stratified layers, each of which provides shelter for an astonishing variety of creatures, including abalone, octopuses, spiny lobsters, sea stars, fishes, and marine mammals. Within the kelp forest, currents are reduced to as much as a quarter of their speed outside, trapping nutrients and reducing swimming effort. Drift kelps, ripped from their anchorages by winter storms, and understory seaweeds are a major food source for kelp forest creatures, but not the live kelp plants themselves. Kelp communities may be severely disrupted by strong wave action, grazing by sea urchins and pollution, but they are generally the cornerstone of a vibrant and diverse ecosystem that provides food, shelter, and nesting sites for several kinds of shark.